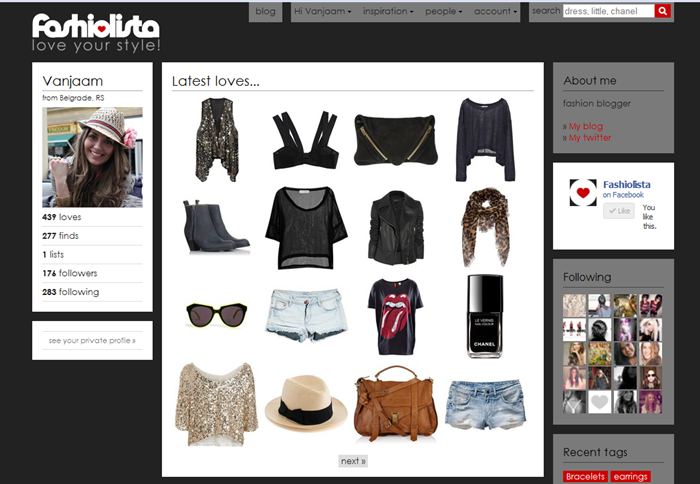 On fashiolista.com you can create your own personal profile in ten seconds, which enables you to add every fashion find your trained eyes stumble along while shopping online. With one click on the easy installed heart-button in your browser you can start sharing your personal fashion style with the rest of Fashiolistas members. When someone likes your style, they can start following you and love your items. You can also love someone else�s fabulous finds or start following their style. Every item has a link to the webshop where you can purchase the find. So basically Fashiolista is the perfect website to share your fashion inspiration. It's like a twitter for fashion! That's it! 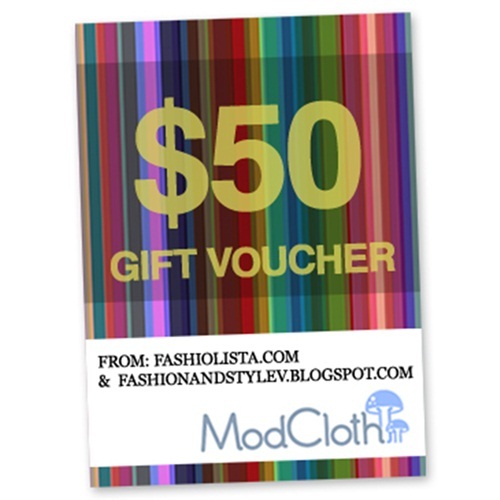 Just follow those simple steps, and you are on the right way for winning a 50$ gift voucher! Giveaway is open for two weeks, from 4th of August, till the 18th of August, and soon after that Fashiolista will decide who is the winner and i will make announcement here on my blog! A huge thanks for all those who will participate and GOOD LUCK! Fashiolista je mesto gde mo�ete napraviti profil za samo nekoliko sekundi, a ukoliko instalirate i Love dugme na va�em pretra�ivacu, va�e modne pronalaske mo�ete deliti sa ostalim Fashiolista clanovima koji ce vas pratiti.